Inc is a Responsive Multi-Purpose Business WordPress Theme. Inc is specially designed for web agency business, corporate business, personal and freelancer. 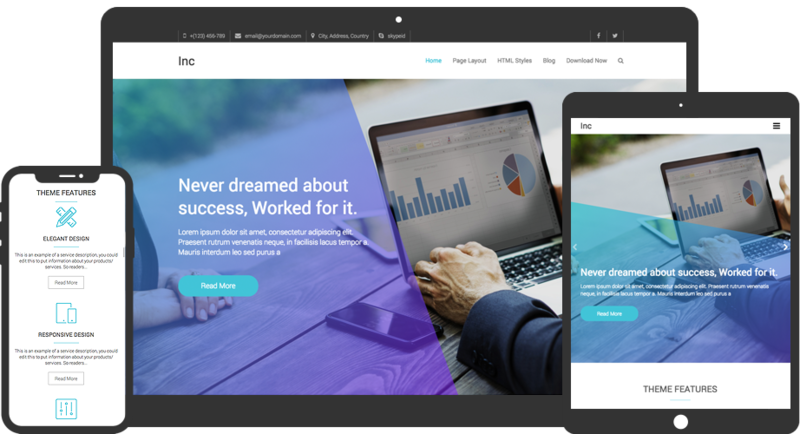 There are Business Template, Boxed/Fluid Site layout, Sidebar Page Layout, Top Contact Info Bar, Social Profiles and Slider. Also supports popular plugins like WooCommerce, bbPress, Breadcrumb NavXT, WP-PageNavi, Contact Form 7 and many more. It is also translation ready.